Director John Gray of the Smithsonian’s American History Museum had a special treat for me. He showed me the ‘OFFICE” display on the Innovations floor — in Washington, D.C. — and of course I had to have a picture. Don’t mind my wild suit. 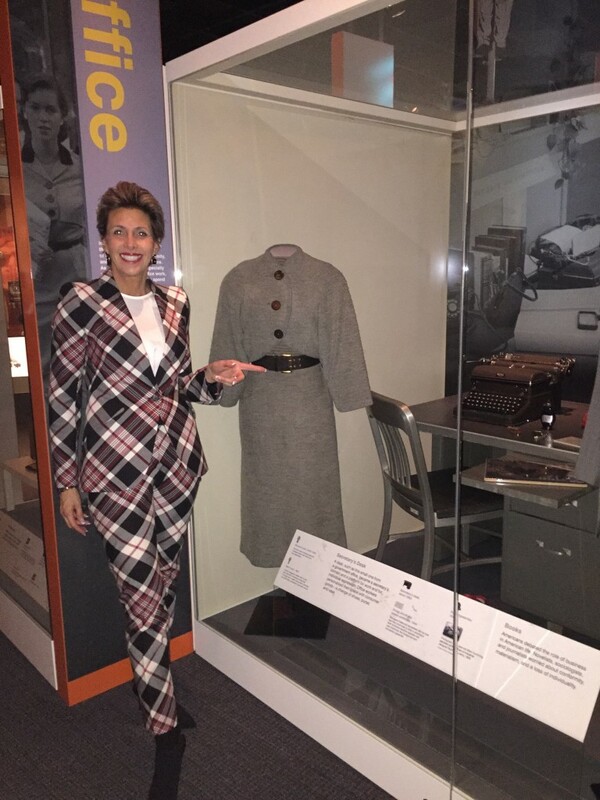 As I look at the tame gray ‘power suit’ behind me, it reminds me of how far women have come! Remember when the ‘power look’ was a blazer with man-sized padded shoulders? I do. It’s a bit wild — Alexander McQueen — but I decided to go for it. It’s a bit wild — but I decided to go for it!